Soooooo. I planned to take tomorrow to catch up on Writing 101 assignments. For the last few days I’ve been working on all the projects I needed to finish (refinishing a coffee table, cooking ahead for a crazy week, cleaning up the disaster zone we call the master bedroom…). I was REALLY excited about tomorrow. In other news, we have a German Shepherd puppy. He’s 4 months old and has been an absolute joy. He is easy to train and doesn’t chew things up. My laptop was on the floor, so I put it on the bed. He doesn’t climb up there. You know that feeling you get when the kids are playing in complete silence and you know you should check to be sure they’re not lighting matches? I had it, but ignored. 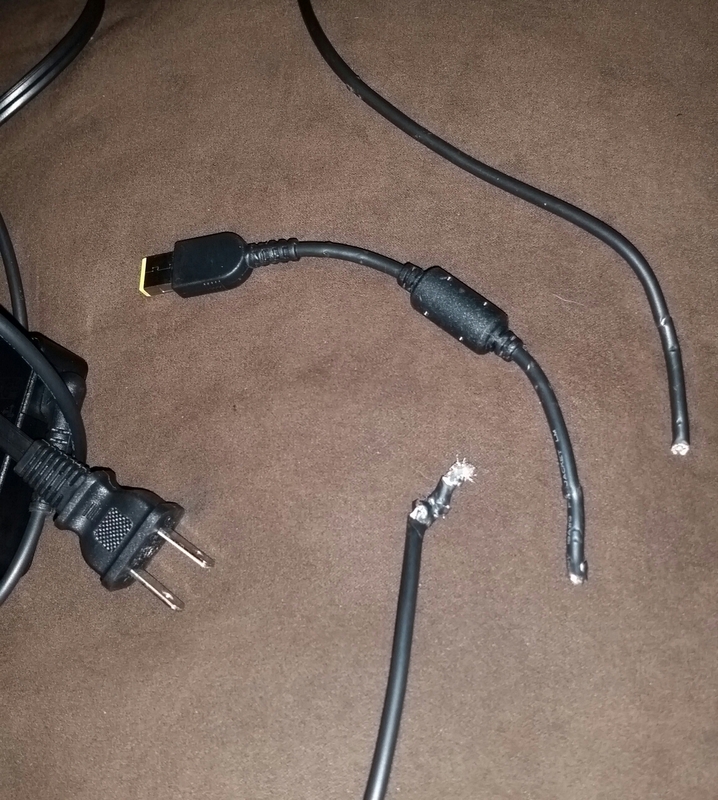 Too late, I found the pup with my computer cord. Fortunate animal that he is, it wasn’t plugged in. Unfortunate girl that I am, I did not charge my computer today, so tomorrow I will have to write really, really fast. Posted on September 23, 2015, in Blogging101, Writing is fun, Writing101 and tagged Computer, German Shepherd, Laptop, puppy. Bookmark the permalink. 10 Comments. Well, at least you kept your sense of humor and as a bonus got a blog post out of it. Oh my ! Reminded me of Isaac Newton and his dog, Diamond. Something similar happened to him. I guess you will have to rewrite from memory. I don’t know that story–will have to check that out! Isaac Newton’s dog chewed up one of his papers, in which he had written something really important. And all he said to Diamond was, oh Diamond, you don’t know what you have done !